The inner world of the great artist at Marc Chagall Art Centre. 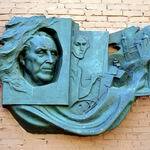 Marc Chagall Art Centre is one of museums of Vitebsk devoted to the great creator. But if the Chagall Home-Museum in Pokrovskaya Street tells about the life of Marc Chagall in the context of the history of Vitebsk in that time, the art center is more focused on the description of the works of the great master. If you want to know the inner world of the artist in his creations, certainly visit the art center located in the old part of the city. Marc Chagall Art Center was created by in 1992, and now is the youngest Chagall museum in the world. Here exhibitions of the artist from the museum collection are held, as well as collections of the heirs of the creator. It is interesting that the museum has been storing letters of Vitebsk residents until now who opposed the creation of Marc Chagall Art Center in Vitebsk, the artist who did not fit into the framework of Soviet ideology and culture of Vitebsk. 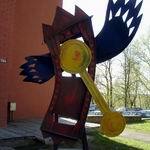 The city officials in late 80s stated directly: "Why do we need Chagall museum? He was a French painter". 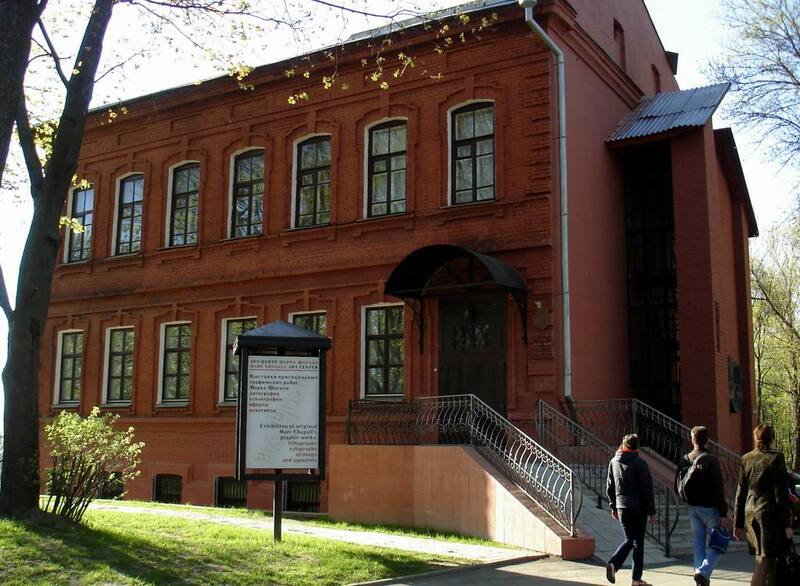 The building is the art center originally belonged to a noble family; this brick two-storey building which remembers many events in the history of Vitebsk, was chosen to host Chagall museum not by chance. After all, it is depicted on the famous painting of the master "Over the city" near the Governor's Palace. In the coming time, during reconstruction of tourist Vitebsk, the building will be updated with construction of an additional bulk that will house exhibition halls, rooms for storing pictures, libraries, cafes, souvenir shops. The entire area near Marc Chagall Art Center is supposed to become one of the main attractions of Vitebsk. In general, the art center is unique that it is the only museum in the republic, which stores the paintings of the master. Now the museum's collection consists of about 300 graphic works by Marc Chagall in the genre of lithography and etching. 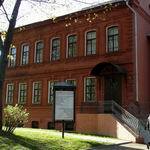 The first works were presented by Ninburg "Society of promoting Home-Museum Chagall in Vitebsk" to the museum. The master's daughter Ida has not stayed aside, presenting three coloured aquatints to the art center. Chagall's granddaughter have also contributed by sending a series of Bible illustrations by Marc Chagall, 96 interesting etchings in the form of illustrations of Gogol's "Dead Souls". Dr. Henrich Mandel from German Irrel rendered an invaluable service to the museum in Vitebsk. He gave a huge number of graphic works by Chagall, and some two thousand books devoted to the masters creativity to the art center. This generous gift allowed to open in 2002 a research library on the basis of the art center. Currently, it holds more than 3000 publications, among which there are quite rare publications about Chagall. The museum's collection also includes about 130 samples of circulation charts, with the most distinguished works of Henri Matisse and Pablo Picasso. On June, 7 every year the Marc Chagall Art Centre celebrates the birthday of the painter. Artists act near Chagall Home-Museum on Pokrovskaya street and also on adjacent to Chagall Art-Centre – Tolstoy Street and Suvorov Street. International Chagall Presentations are held. The museum exhibits the paintings by Chagall, brought from abroad. As a rule, Chagall heirs give his works on concessional terms for exhibitions at the art center. Art patron Henrich Mandel about the role of the artist in the Vitebsk life best of all: "People who love Chagall, will sooner or later fall in love with Vitebsk - the city that gave birth to Chagall, the city present in nearly all of the artist's works, the city hidden, kept by him from childhood to death, which became a reflection of Heavenly Jerusalem for him". 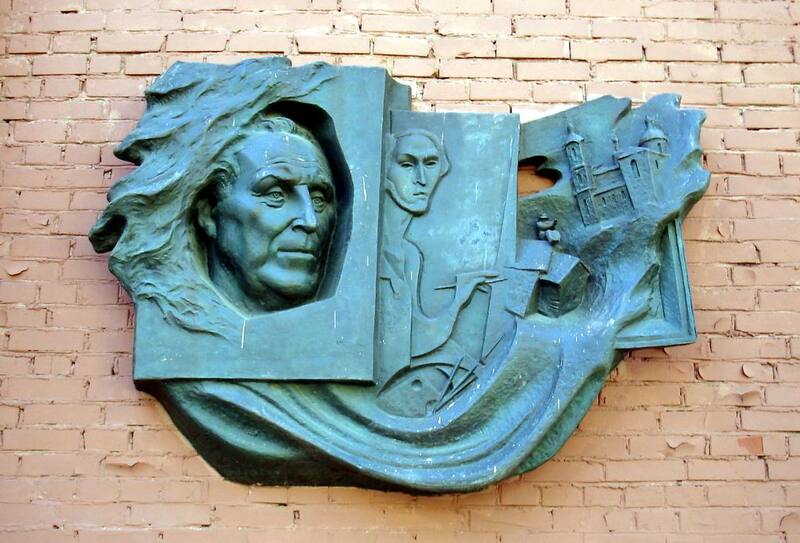 Marc Chagall Art-Centre is located to the address: 2 Sovetskaya street, Vitebsk. Working hours from 11.00 AM to 6.30 PM. From March, 1 to October, 1 - Monday. To imagine a more complete picture of the culture of Vitebsk, visit other attractions in Vitebsk that are located nearby, such as: Monument to the Heroes of the Patriotic War of 1812, the oldest of the monuments of Vitebsk; visit exhibitions of the Museum of Local Culture in the City Hall building. Walk along the embankment of the Western Dvina River in quiet Putna street by the Governor's Palace. 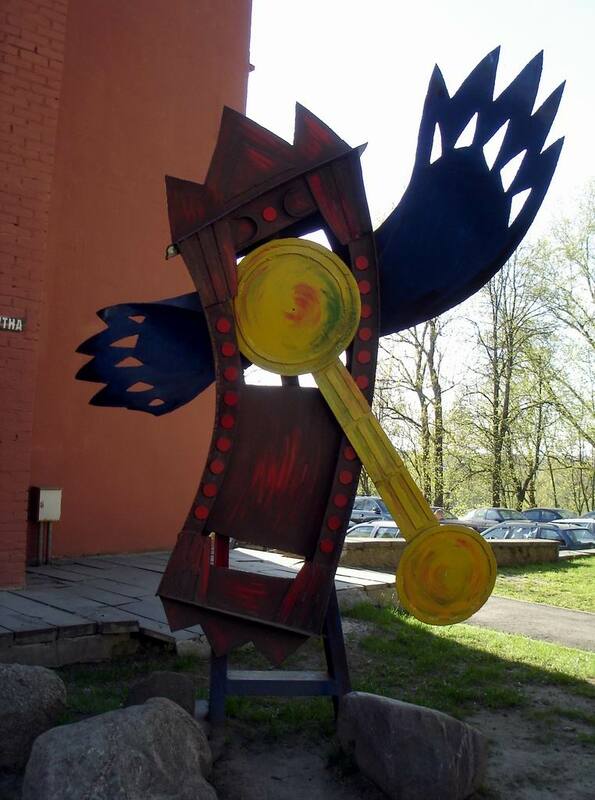 Information about these and other sights of Vitebsk can be found on city portal VitebskCity.by. It collects a lot of interesting information from the life of tourist Vitebsk.